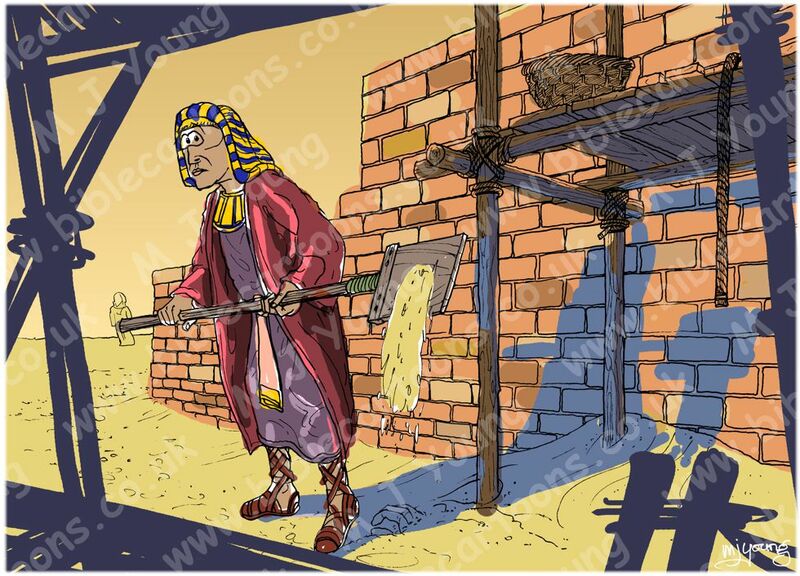 Bible Cartoons: Moses murders and new favicon! Moses murders and new favicon! 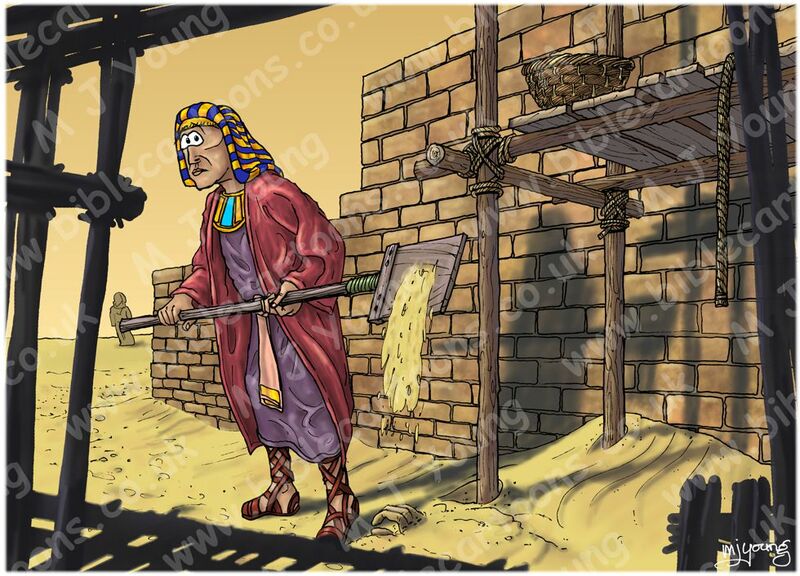 I have just completed the second scene in a series from Exodus chapter 02, which depicts Moses covering up the body of an Egyptian he murdered. I didn’t want a grizzly scene of Moses throttling the man, or bashing him over the head, so I have chosen to show the scene after the violence, when Moses is trying to cover the body up with sand. The first picture above is the finished scene, but I thought you might like to see the interim scene between the outline drawing & the finished picture. Here is where I work out which colours & tones I might use. The other bit of news that I have changed the Bible Cartoons favicon, from a little picture of an artist’s easel to what looks like a ghost, but is, in fact, a pair of my characteristically drawn “Cyclops eyes”! It’s the little 16 × 16 pixel drawing that you see when you have a tab open in a web browser, that is associated with a given website. The Bible Cartoons favicon (a red paint squiggle on a painter’s easel) has been the same ever since the website first came on line, so I thought it needed a change. It takes a few days for the internet to recognise a favicon change, but I see that the new one is showing up now. What do you think?